The Club season is just around the corner. 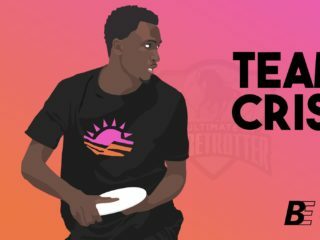 The U.S. Open, the first leg of the USA Ultimate Triple Crown Tour, will take place from the 3rd until the 6th of July 2014 in Minnesota’s Twin Cities. Clapham Ultimate from London, UK, will be one of the three non-U.S. teams competing for the first official title of the upcoming U.S. club season. I recently talked with one of Clapham’s captains and leaders, Marc “Britney” Guilbert. Britney was also the captain for the GB team that won the silver medal at the World Championships in Sakai in 2012. We talked about Clapham’s trip to the U.S. and the upcoming World Ultimate Club Championships. This turned out to be true. Last year, the attraction and the sporting value of the U.S. Open was questioned by some. Teams seemed partly ill-prepared and the games appeared to be difficult for the teams not used to peaking so early in the season. 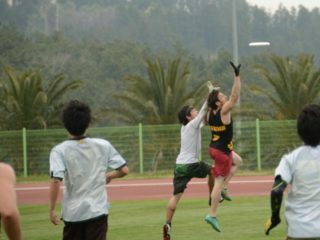 However, this year the first major Triple Crown Tour event will undoubtedly enjoy greater recognition in the Ultimate community since the World Ultimate Club Championships (WUCC) will start only a few weeks after the U.S. Open, beginning the 2nd and running until the 10th of August in Lecco, Italy. 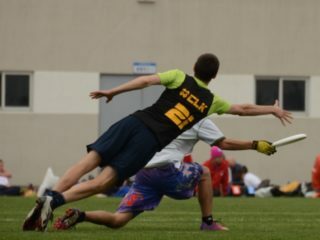 With Revolver, Sockeye, Ironside, Johnny Bravo, and Furious George, many serious contenders for the World Championship title will not only compete for the U.S. Open title, but also use this first class event as a preparation for WUCC. In addition, Sub Zero and Evolution from Colombia will complete the strong starting field at the U.S. Open. Clapham fit in very well with this exclusive circle of international top teams. In fact, Clapham is currently dominating the European competition. They seem unbeatable in the national championship series, winning the previous 13 straight titles. Moreover, they won the European Club Championships Finals (EUCF) 2012 and 2013 without losing a single game. The question is, what separates Clapham from the other European elite club teams? One reason for Clapham’s dominance is that they have always set a higher bar and set themselves higher goals than all other European teams”, explained Britney. This would come from their roots, from having been led by a series of captains who had played in bigger games than those available in Europe. This created an ethos, a culture of dissatisfaction with national and European victories and an aim to compete and win on the international stage. This same mentality has pushed Clapham across the pond to play a tour in the USA every year possible. It is not uncommon for top international teams to use the elite U.S. club tournaments to gauge their progress and learn from the very best in the world. Japan’s Buzz Bullets made repeated visits to the Emerald City Classic, losing in a close final to Seattle Sockeye in 2007 before breaking into the top three at Worlds in 2008 and Club Worlds in 2010 (note: WUCC 2006, with Buzz Bullets winning the title, was not attended by all top teams in the world). Also, Australian teams have traveled through the U.S. to prepare for international events in the past. The universe point game between Australia and Team USA (Revolver) at World Ultimate and Guts Championships (WUGC) 2012 proved that Australia clearly benefited from this experience. According to Britney, the second reason for Clapham’s continued success is the team is incredibly geocentric and they are training together more often than ever. They’ve always had a minimum of one practice a week, but over the last few years this has become twice per week. At the moment, in the lead up to Lecco, Clapham are training three times a week. With a squad of more than 30 players, every training session is super intense. 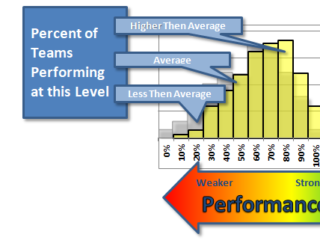 There are no other teams in Europe that can practice regularly on such a high level. Additionally, Clapham is carrying no ‘invites’ or ‘international players’ this season. All members are local or attending weekly training. Justin Foord, Rob Schumacher, Dom Clark (MVP of the UKU Nationals Open Final 2013), Richard Harris, Max McCartney, Ollie Gordon (NexGen Tour 2011), and of course Britney himself are probably best known for outstanding ultimate action and international experience. Ben Funk, a former Stanford and Boost Mobile player, should be a new strong addition. He could play an important role besides another newcomer: Ashley Yeo. At least after the London Calling tournament this year, everybody should have him on their list for highlight reel plays, too. Clapham’s current dominance in Europe is a result of a longer process. Before their most recent international success, Clapham struggled at the European Championships after 2007 when they won the title. The reason is that Clapham underwent a total restructuring phase following its 2007 season, losing roughly half of its regular personnel and all of its captains. As per any team, this shake up was felt by a drop in Clapham’s international standing. During the long rebuilding years Clapham were always contenders within Europe, but level with the others and no longer a favorite, Britney said. Each year however, the team kept getting stronger. In 2011 they lost the European Club Championships on Universe point in a hard fought game against rival Flying Angels Bern. This was however, the last time Clapham lost a game at Euros. Britney thinks that there are two significant changes in Clapham’s recent history which have helped them win more games. The first is that their recruitment has brought them increasingly better talent. Specifically, GB’s success at WUGC in Japan in 2012 helped Clapham because it proved that Clapham’s leaders and strongest international players knew how to build a team and win games. The second is that they have become extremely selective about what they focus on during practice. This has helped Clapham make bigger leaps on the elements they deemed most influential to victory. Taking such a systematic approach to the season and their journey to Lecco has really revolutionized trainings, said Britney. This has changed the way they would teach things and drill elements; it has even affected the way and the language the captains use to address their strengths and weaknesses. Last year at the Chesapeake Invite Clapham already showed which impact the recent changes had on their game. Their results attracted worldwide attention. In their trip to the Chesapeake Invite last year, Clapham earned a spot in the semifinals with wins against several teams who later earned bids to the USAU Nationals, including Ring of Fire, Chain Lightning and Madcow. They also tallied close losses against PoNY and Ironside. Still it was questioned whether Clapham were really closing the gap to the U.S. teams. European and UK expert Sion “Brummie” Scone argued that the fact that everyone was treating semifinals as an amazing result – and not just an expected one – indicated that people believe the gap has increased since 2007. However, there are a couple of key points to bear in mind when looking at the Chesapeake results. For instance, Clapham played at the Chesapeake Invite with a small squad of only 16 last year but still managed to win games against strong U.S. teams. Admittedly, many of those U.S. teams were still early in their season preparation with the focus clearly set on Nationals in October. In any event, the trip to Chesapeake certainly paid off for Clapham. They went to Chesapeake looking to close out games. In the past, Clapham would fight hard and compete in the first half of games but lose in the second half due to inconsistency or late forced errors, Britney explained. They were happy to have won a couple big games but ultimately annoyed by falling short against Ironside in the semifinals. 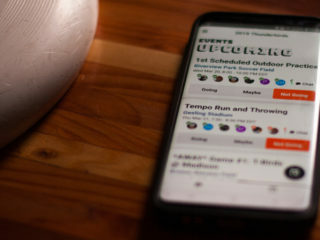 Clapham Ultimate structures its season around priority tournaments. This year, they tried to build up a progression in the competitions they would attend. London Calling and Windmill Windup would give them the chance to clash against the strongest European competition. After beating all European contenders quite easily, now the U.S. Open will give Clapham the opportunity to test themselves against the strongest in North America. Clearly, they learned their lesson from previous trips to the U.S. and this will help them to achieve good results against the strong competition they will face in a few days. As mentioned above, Clapham’s roster at U.S. Open will be 23 strong. This is definitely more sufficient manpower that they had at Chesapeake. Clapham are taking 26 to WUCC later this year, which is a wise decision considering the length of the tournament. However, since the U.S. Open was open to all squad members, a couple players joining Clapham in Minneapolis will not be at Lecco. Specifically, most of the D-line will be in Minneapolis, but they will be missing a few players from the starting O-line. Most of the Clapham players will arrive in the U.S. at least a full day in advance to get rid of the jetlag. Having had a really slow start in the first half of an evening exhibition game against Truck Stop the night before the start of Chesapeake last year, it is evident that at least 24 hours is needed to clear the travel fatigue. Video analysis and other aspects of scouting have been entrusted to a few players within the Clapham squad. Since there is now a fair bit of footage available of North American competitions, it is an advantage for European teams allowing them to make pre-game decisions about what strategy to employ if deemed necessary. Indeed, the competition will be strong at the U.S. Open. Definitely much stronger than at Chesapeake Invite last year. There are the four semifinalists from the U.S. Nationals 2013 and in addition Sub Zero, Furious George, and Evolution (Colombia). One could argue that only Buzz Bullets from Japan and Colony from Australia are missing to round out this would-be “U.S. Open / World Championships”. The outcome is completely open. Being only one month apart, the U.S. Open is the perfect last minute preparation for WUCC. And Clapham intends to use this as the final stepping stone towards peaking at Lecco. It was reported about difficulties for the teams from North America in Worlds years attempting to peak twice in one season. This seems to be no concern for Clapham. Although there might be differences about how teams attending the U.S. Open will approach the two first major club events this year, one thing seems for sure: This will be the most exciting international club season ever.